The sign we're writing about today is not currently on display. 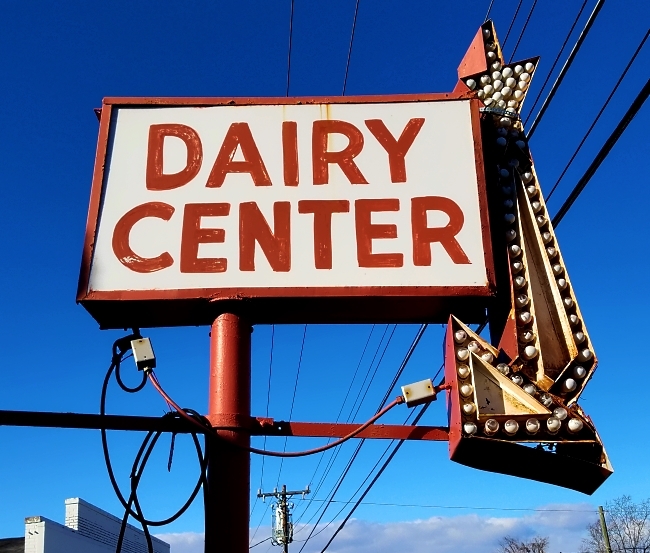 The Dairy Center sign pictured here has been around since the Dairy Center opened for business in 1954. 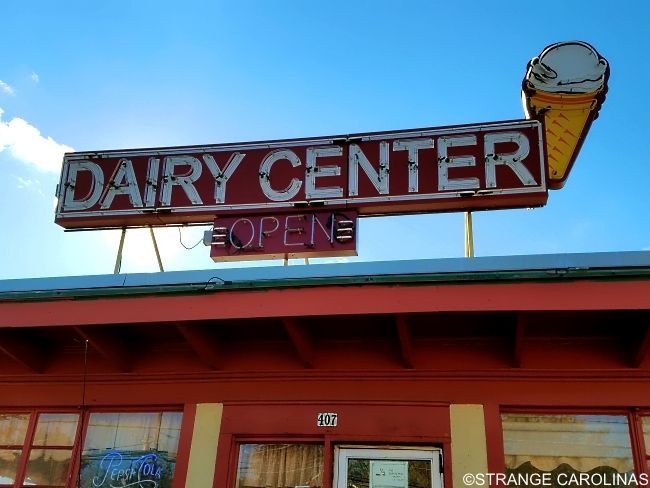 Prior to that, the business had been a Dairy Queen for three years. Unfortunately, a major windstorm hit Mount Airy the week of May 1st, which saw the entire sign and pole fall. Owner Freddy Hiatt told us he is in the process of having the sign refurbished. "I'm not going to go without it because it's such a landmark," he said. There is also another sign on top of the building that looks equally as old. However, Hiatt informed us it's only been around for ten years.